The following article is based on a translation of a post that appeared first in Chinese on Hong Kong's Inmedia outlet. News concerning changes to the outfits worn by airline cabin crews has stirred real debate among Chinese-speaking online communities in recent times. In May, Emirates faced a furious backlash after demanding its Taiwan crew  wear mainland China's national flag pin rather than the Taiwan island pin on their uniforms, following apparent pressure from Beijing. Emirates walked back the order after a number of people vowed to boycott the airline. This month, Hong Kong's Cathay Pacific airline suspended its new policy of adding Chinese names onto Hong Kong and Taiwan cabin crews’ name tags after the airline's union spoke out against the decision on privacy grounds. While the political underpinnings of Emirates’ outfit policy were plain for all to see, the controversy over Cathay Pacific's name tag policy has mostly been stoked by ‘fake news’ originating in the mainland Chinese press. The name tag furore was reported in Hong Kong as early as June 1. The union's arguments that it pushed back against the move in order to protect staff privacy  would seem legitimate, since Chinese names are very specific and thus easy to track. Nor is this a just a hypothetical danger. In fact, a number of air hostesses from Cathay Dragon, Cathay Pacific's sister airline, which adopted the Chinese name tag outfit last year, have filed complaints to the company after stalkers managed to find their names via social media platforms and send them disturbing messages. 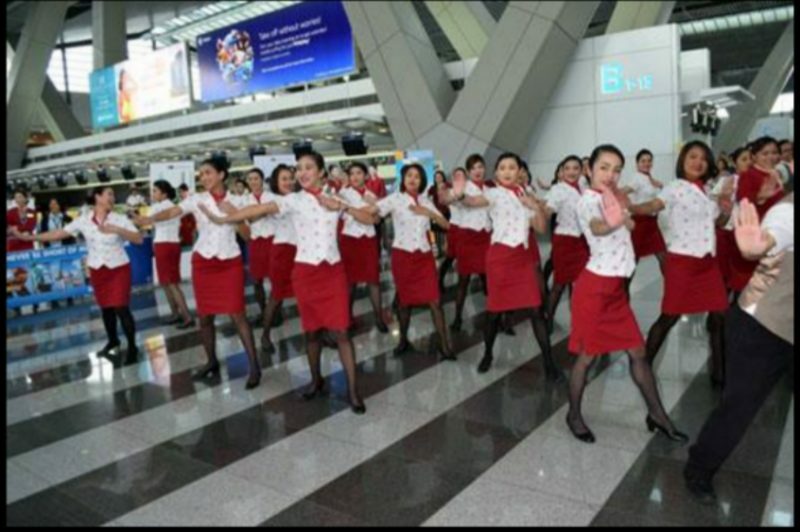 However, the news of the union's protest was twisted in mainland China on June 11 under an antagonistic headline: “Hong Kong Cathay Pacific Air Hostesses Refuse to Wear Chinese Name Tags Because They Don't Want to Please Mainland Chinese Passengers” . The headline deliberately inverted one air hostess’ comment that the company originally adopted the new tags in order to “please mainland Chinese Passengers”. The report went on to suggest that the air hostesses now instead wanted to “please foreigners” with their English name tags. The report published in various news portals including Sina and Sohu is symptomatic of Chinese government depictions of Hong Kong. Since the 2014 massive pro-democracy protests in Hong Kong, mainland outlets have argued Hong Kong is a society with pro-Western values that fundamentally rejects Chinese identity. Unfortunately, the same headline was copied and published in a Taiwan news outlet the next day. Furthermore, another Taiwanese media outlet picked up the point about pleasing foreigners and added a further twist “Too Unfashionable! Hong Kong Cathay Pacific Air Hostesses Refuse to Wear ‘Chinese Name Tag’, Complain it Would Obstruct Their Chances of Making Friends with Foreigners” . The article was published June 12 and went viral on various online forums. To clarify the picture, the Chinese Q & A news team interviewed  Dora Lai, the deputy head of Cathay Pacific Airways Flight Attendants Union which has a 43-year history and more than 6,000 members. Lai said her union's opposition to the policy was “nothing to do with language”. Her interview (abridged) is below. Q: Did Cathay Pacific demand cabin crews wear “Chinese name tags”? What is the rationality behind the policy? Does the company want to please mainland Chinese passengers? A: Cathay Pacific demanded that the “Chinese name” that appears on the name tags should be the same as the name on their identity cards, but the same requirement does not apply to the English name. The Union opposes the use of names registered to identity cards (real names) and is uncertain if the company's Chinese name tag policy is designed to please mainland Chinese passengers. The union believes that the policy is to follow the practice of Cathay Dragon as that airline's air hostesses already wear Chinese name tags. But the union does not agree with Cathay Dragon's policy. Most of Cathay Dragon's flights are flying between mainland China and Hong Kong, the layover time for the crew is much shorter, usually within one night, while Cathay Pacific's flights are usually long distance [meaning hostesses stop in hotels for longer where they can fall prey to stalkers]. Q: What is the most appropriate name tag policy? A: The Union believe the current name tag policy should be retained. The air hostesses can decide the name on the tag. The name tag is to make it more convenient for the passengers to address the air hostesses; that can be done without infringing on the air hostesses’ privacy. Q: Do the air hostesses feel that Chinese names are ‘unfashionable'? A: The Union has never heard of any reasons such as those that appeared in that report…I have no idea who exactly their source is. From all the opinions I have read from our members and my social media network, I have never come across such reasoning. Even if we use Chinese names, the English names remain on the name tag, so there is no grounds to say that a Chinese name tag would “obstruct the chance of making friends with foreigners”.